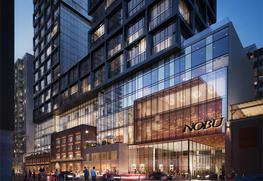 Nobu Residences is a premium project developed by Madison Developments and is one of the most happening addresses in the city to buy a property. Located in John and Mercer region of Toronto, the project will have residential apartments, a sprawling hotel and a classic restaurant. This is one of the first properties from Nobu coming to Canada that has a residence, hotel and restaurant combination and has naturally garnered a lot of interest. 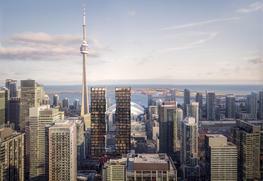 The property will be 47 storeys high and will feature a total of 600 suites. The suites will range from sizes 856 sq feet to 1011 sq feet. The price per sq feet will be $1513 and that will make the prices of the residential apartments around $ 135, 9900 to $ 157, 9900. The residents can also request additional locker space. There are going to be one bedroom, one bedroom plus den, two bedroom and larger options as well. The property is likely to be handed over by the second quarter of 2022. The residents will stand to enjoy a number of advantages by buying a property here. There are private screening facilities in the media room, yoga and spinning center, and barbeque areas and games room. They can also relax in the state of the art Hydro Massage Therapy room. There is also a private dining circuit for throwing private galas. The luxurious suites have all the amenities that one could possibly imagine with high end fixtures in bathrooms and kitchens. The security of the building is top notch with round the clock surveillance. There are a number of locational advantages to be enjoyed here. Not only is the signature Nobu restaurant located right in the building itself, the region is practically teeming with boutique restaurants and hotels. The TIFF Bell Lightbox, Royal Alexandra Theater, Roy Thompson Hall and Rogers Center are all located close by. 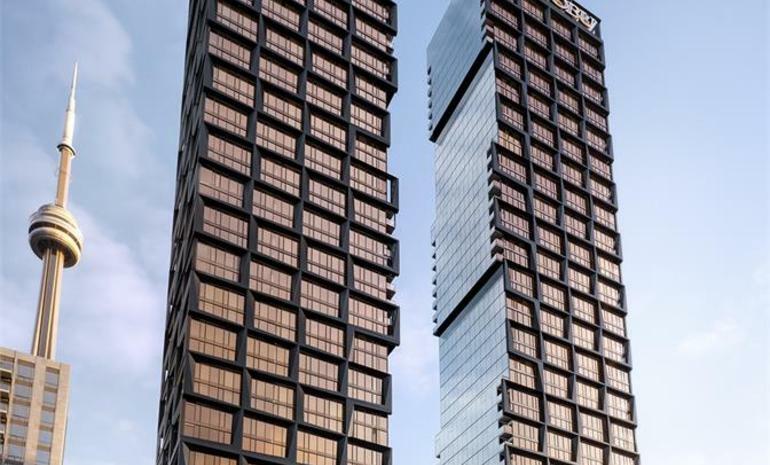 The project’s own restaurant will be sprawled over a whopping 15000 sq feet over two levels that is sure to bring in more noted people in the vicinity. The subway stations of the region are located about ten minutes walk away. Nobu is an internationally acclaimed brand and it is presented by Chef Nobu Matsuhisa, producer Meir Teper and actor Robert de Niro. They have been responsible for various high end projects across the globe and for their first foray into Canada, they have indeed come up with this special combination project. The Nobu name is itself to command respect and with various celebrities endorsing the brand at various times, the name Nobu has a credibility and trust enjoyed by few others. 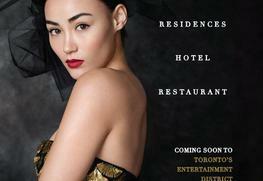 The project has a 15,000 sq feet Nobu restaurant spread across two levels. The west tower of the project provides especially stunning views of the city.